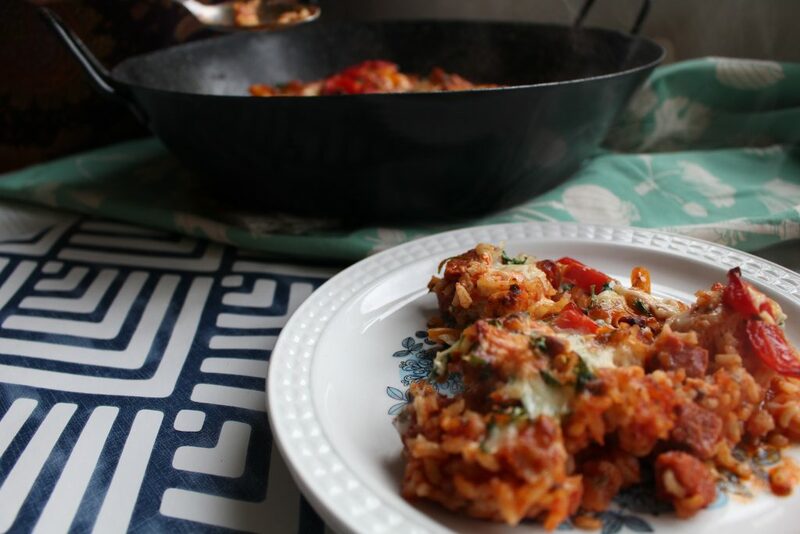 Chicken and Chorizo Rice Bake. Our cosy Friday night dinner. 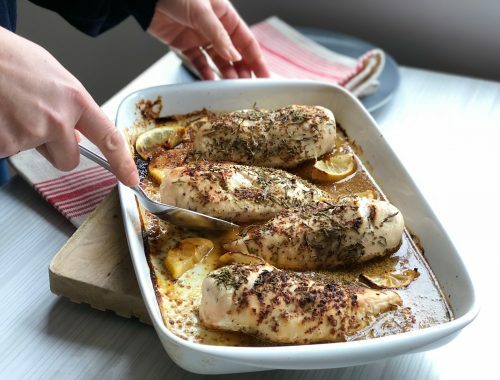 After a long day at work or a full on day out, you want an easy go-to dinner that draws a line in the sand from working week to hello weekend. 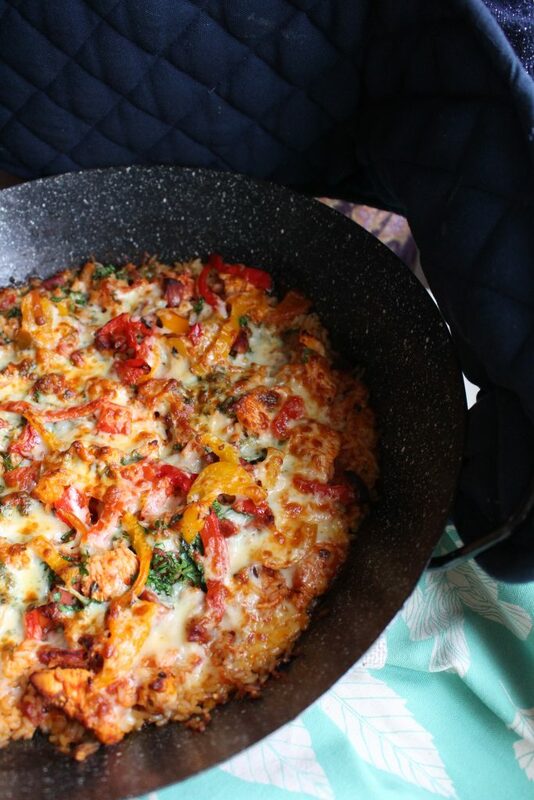 This easy chicken and chorizo rice bake draws that line perfectly. It’s our cosy Friday night dinner when we grab a few moments together to talk about our week, discuss weekend plans and relax in each other’s company. It’s a no frills, easy kind of dinner and I make no excuses for using ready made ingredients. These simply give you more time to ease into that delicious feeling of relaxation and letting go of the busyness of the week. 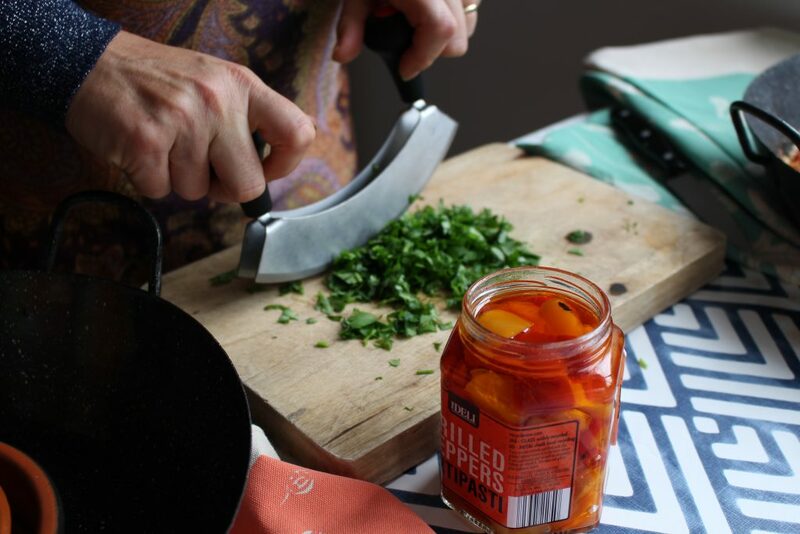 You can save time by either prepping the ingredients in advance or even making the chicken and chorizo sauce ahead of time but even from scratch, it’s no hardship. Whatever works for you. If you are looking for further solutions for make ahead cozy dinners try this Swedish Meatball dinner or for a meat free alternative try this Black Bean Sweet Potato supper. 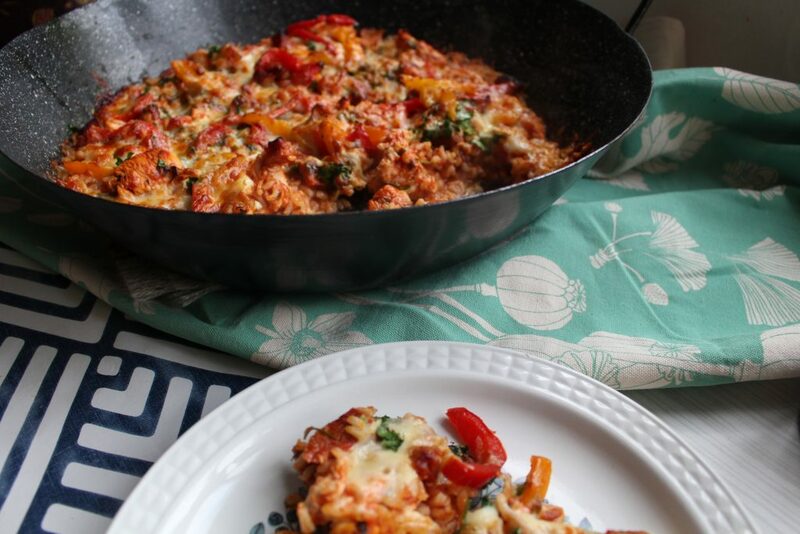 An easy dinner of chicken and chorizo baked together with rice and topped with cheese, perfect for after a long day at work. Preheat oven to 200°C/Gas Mark 6/400°F. In a large saucepan add the chorizo, chicken and pasta sauce and cook for 7-8 minutes, stirring from time to time to prevent sticking. In a baking dish empty the contents of 2 packets of ready made rice. Pour over the chorizo and chicken mix and stir to combine. Sprinkle over the parsley and grilled peppers. Top with the grated cheese and place in the preheated oven for 20 minutes. This sounds so good. 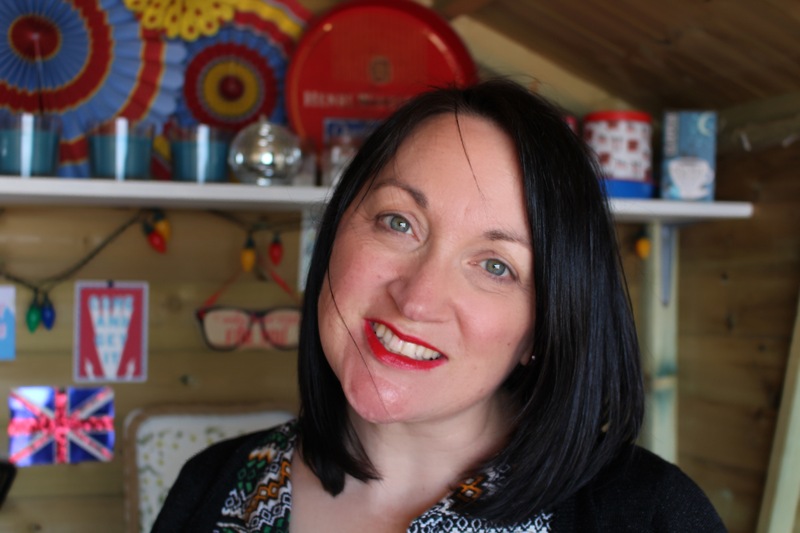 Chorizo is my favourite ingredient and I also love those roasted peppers antipasti! You can never go wrong with chorizo, chicken and rice. 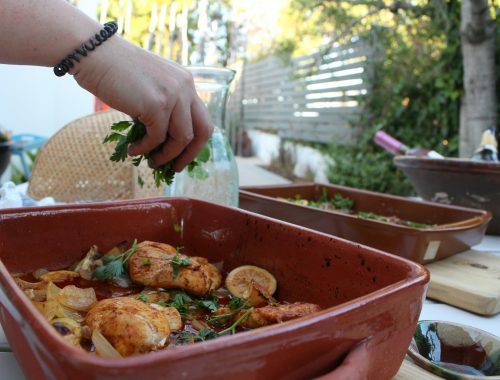 My goodness – This has made me so hungry! Can’t wait to try this recipe out. I can’t wait to make this. I don’t have any chorizo or sauce but a stop at the grocery stop will fix that. This looks like a recipe that my family would love! Looking forward to trying this dish. As I sit here reading this post, it is freezing outside. This looks so warm and tasty that I’m almost tempted to run to the store and get what is needed to make it now! Mouth watering, good looking food! I need to try it this weekend and maybe have some leftovers for next week too! Looks so yummy and my husband loves chorizo. I’ll be pinning it now! This dinner looks so delicious! It definitely is a very cozy meal! Wow this sounds absolutely fabulous and delicious!! I totally need to make this for my family to enjoy— I think they will absolutely love this meal! What a simple and quick dish to make. Perfect for when our family is busy. I will be right over to help you eat this! 🙂 It looks and sounds delicious and not very complicated to put together! Oh yes quite right Jodi! I’m all for easy! I love the quick and simple dish. It makes my life easier as a busy mom. This looks like such a great dinner idea! I love how simple it is! I love chorizo, it is one of the foods that I could eat over and over again without getting bored of. Your recipe sounds delicious and very easy to make as well. 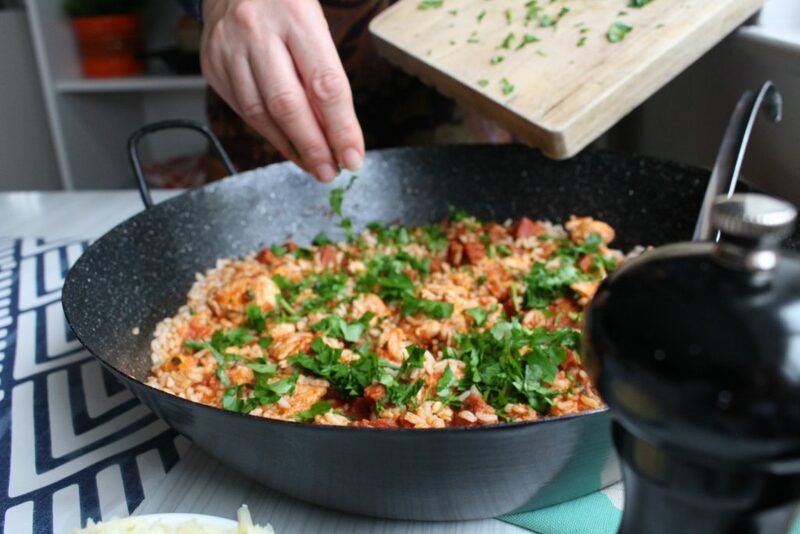 Oh wow this sounds amazing, I simply love chorizo and all the ingredients in this dish. I have book marked this in my recipes to try, it sounds gorgeous! Wow, that is such an amazing food to make. I have never had chorizo before, but I am surely trying it out now. Thank you. Chorizo is my cooking weapon of choice! It’s so tasty. I absolutely love chorizo, my friend makes it homemade and my god is it ever amazing. This recipe looks delicious and I’m sure this recipe would just melt in your mouth. 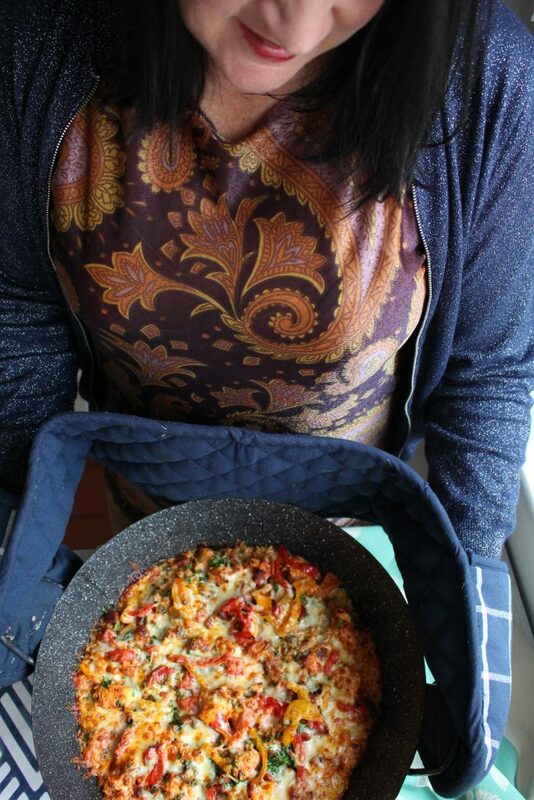 I have never tried Chicken and Chorizo Rice Bake. This looks SO delicious! 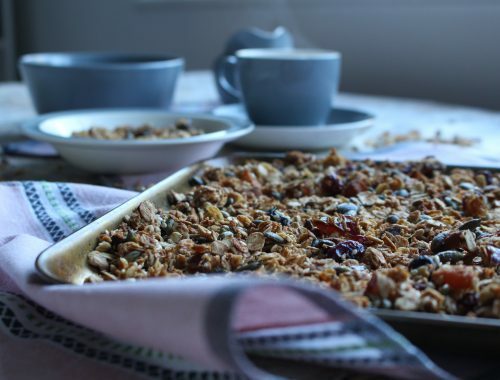 And I love that it’s quick and easy, and yummmmmm…. Chorizo! 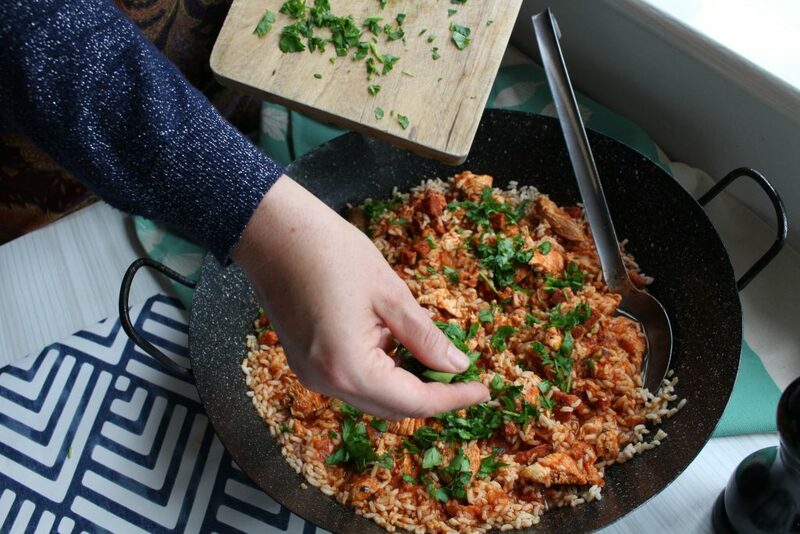 This Chicken and Chorizo Rice Bake Recipe look so delicious and it makes me feel so hungry. I bet my family will really love this so much. Will try this soon. This looks perfect for a warm and cozy day! I have just started to incorporate Chorizo in my recipes! This looks like something i would love to try and i think my family would love to enjoy it too. Thanks for sharing. This speaks to me! This sounds absolutely delicious! I’m adding this to my meal plan next week. Can’t wait to try it. This looks so delicious, I would love to try this. I bet your family absolutely love this. You have such a pretty house..loved the decor pieces…thanks for sharing such beautiful recipes.. I have never heard of Chorizo before. I am intrigued. What is like? I will have to put it on my list of things to try. It’s a richly smoked paprika seasoned salami style of cooked pork. You can get uncooked but I like the cooked. Our staple food is rice.So,we like anything with rice.This looks really delicious and I love to try..
Oh my goodness! This looks so delicious, I am eager to try this recipe. I always love healthy and easy options for new recipes to try. Thank you for sharing. If so, I’m not familiar with “packets of ready cooked rice”, and I don’t mean that in a snotty way. Tesco says, ‘No products found for “ready cooked rice”‘. ASDA found 56 products. One of them was Pilau Rice, 300g for £1.50. Is that what you’re specifying? 600g of cooked rice?